"Sket Dance" was something that I never thought that I would have even bothered to watch. EVER. Its 77 episodes long, it looks pretty generic, and its a "Gintama" clone...or is it? Anyway, the point is that this would have been one show that I would be fine giving up, but honestly, I'm really glad that I didn't. 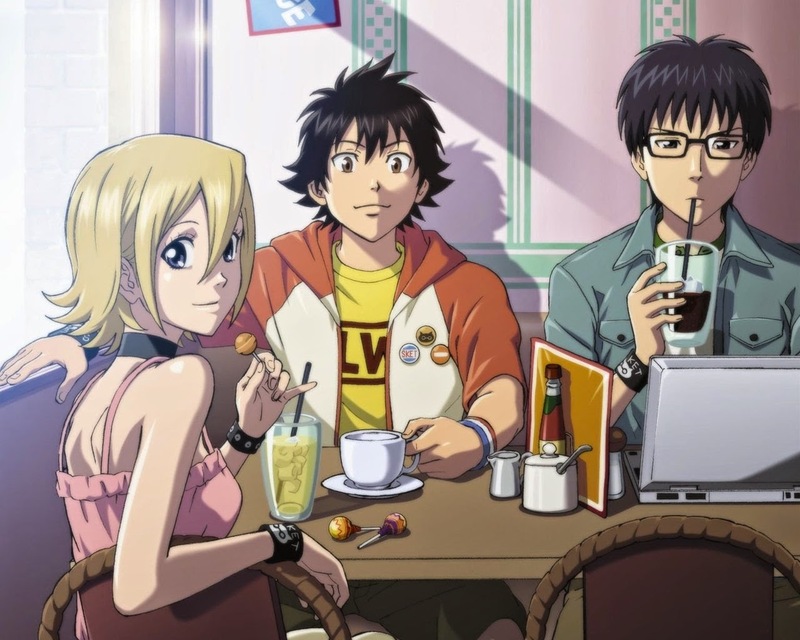 "Sket Dance" is not only entertaining on most fronts with its great comedy segments, amazing character development and honestly rather interesting arcs, it also has some of the best emotional moments in a shounen anime, EVER. The feels are strong in this one, and I lost count of the number of moments that I came close to shedding manly tears. If you want a very well done high school comedy/drama experience with a variety of different character archetypes, then you very might enjoy yourself with this one. The only thing you need to put up with is its ridiculous 77 episode length, if you can deal with that, you're good to go. Then again, if you survived the likes of "Naruto" or "Bleach", you are more than good to go. You can never get as tight as these 3. 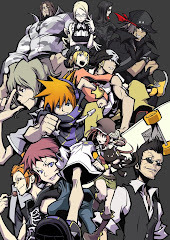 Now since "Sket Dance" has like over 12 endings I won't be going through them. Instead, I'll do all the opening themes, which in my opinion, are mostly pretty damn good. The first opening theme is "Kako Warui - I Love You-" by French Kiss. Its my favorite of all the 6 opening themes, just because its so freaking catchy, it feels so amazing to listen to and it lifts my mood EVERY TIME. The upbeat rock rhythm and heavenly vocals just go so well together. The second opening theme is "Michi" by Sketch Book, and it just goes to show how great of a band Sketch Book is. For their opening debut song, Michi is strong, it packs a punch, it sounds very powerful, and I think its one of the best opening themes in the anime as well. Next up we have "Graffiti" by Gackt, and not to discredit it for being a bad song (because its not), but its my least liked of all the opening themes. Its pretty hard on the rock and roll, but that's all its got, its not particularly memorable or catchy as compared to the rest. Then we have "Message", also by Sketch Book. This one is quite passive and a lot less outgoing, but its still a good song. It just doesn't have the impact of the previous openings, which hurts its standings. "Reboot" by Everset is the 5th opening, and because of my hard rock preference, this takes the cake for my second favorite opening. Its super catchy and super impactful, with the screams, the powerful drums and guitars. The final opening is "Clear" by Sketch Book, and this one is probably on par with "Michi", which means that its a great song. A suiting final performance by Sketch Book. I'll go out on a whim and say that "Sketch Book" is one of the finest things that Jump has created. Sure it may not be as explosive, action packed or visually impressive as some of Jump's most popular works, but "Sket Dance" works for being one of the best character driven shows that I've watched in...quite awhile, honestly. 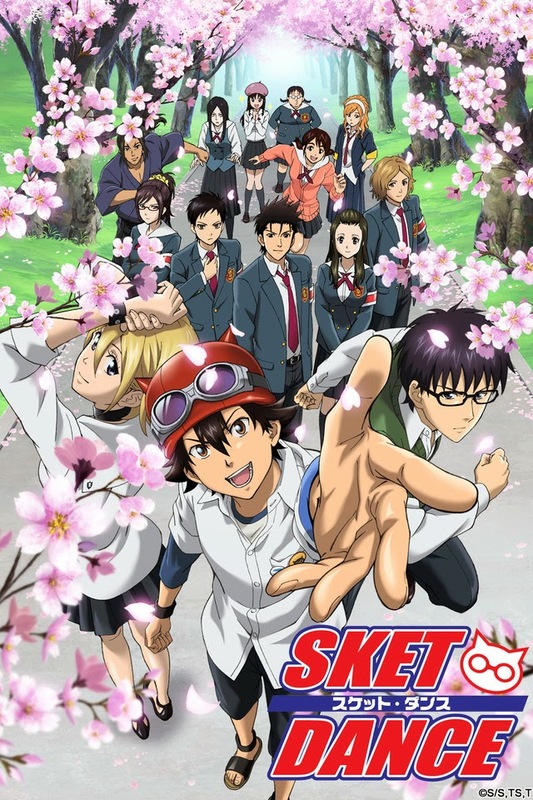 With 77 episodes, you'd think they'd just be f**king around, but "Sket Dance" has some of the most interesting characters created in a high school setting, like, ever. They have ALL SORTS of interesting character archetypes, all that you can ever ask for in a high school. The sweeten the deal, "Sket Dance" is both strong on its comedic and emotional fronts, making it an anime with tons of moments for you to laugh, and moments for you to sheds manly tears if you ever need to. It may have some sub par animation and it's obviously not the most consistent of animes (some episodes are dull compared to others), but these minor flaws are worth surmounting if you want a good experience. The characters are just so likable. Once again, I present to you: The 3 musketeers. The anime revolves around Kaimei academy's castaway club, the Sket Dan. They are the academy's helping hand club, its sole purpose is to help those in need when others can't. Its supposed to be a serious club where they do serious things, but honestly they became one of the laziest clubs in the school with almost nothing to do all day. One day, a transfer student known as Teppei enrolls into Kaimei, and as a sign of greeting, the Sket Dan choose to extend their hand of friendship to him. On that exact same day, they are attacked by the paint mask, a mysterious student who goes around dousing certain students in paint. Teppei is attacked, and the Sket Dan is targeted. 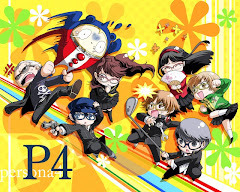 They help Teppei, solve the mystery, and apprehend the culprit their own way. Teppei finds new hope being in Kaimei, and thanks the Sket Dan. They continue their legend of being the school's odd job helping club. 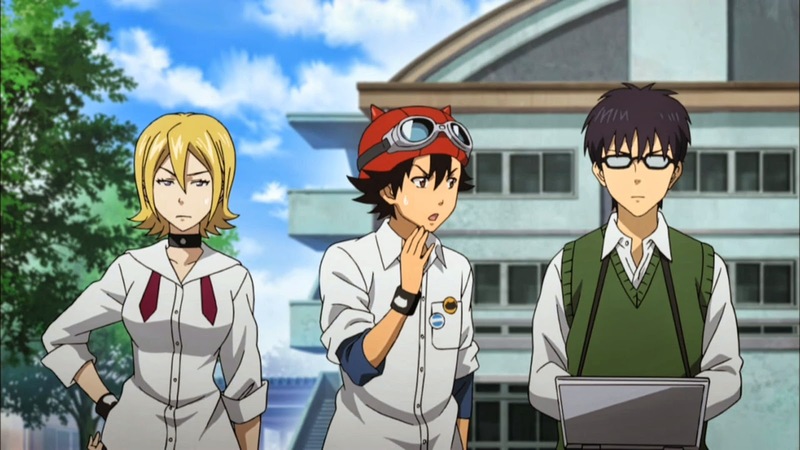 Their names are Yuusuke, aka "Bossun", Himeko aka "Hime", and Usui aka "Switch". "Sket Dance" was honestly one of the most enjoyable shows I've watched from Jump. Its a pity that it ended the way it did, because the manga was SUPERB, especially the ending. 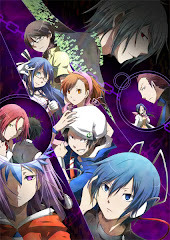 I hope that it gets another shot with an anime, because I really enjoyed it, and I've grown somewhat attached to the cast (anyone would, especially after 77 episodes).